This design was originally inspired by Guano Apes' original album cover and title song, "Close to the Sun." A blue circle in the center is a simplified shape of either a blue sun, or a planetary nebula. 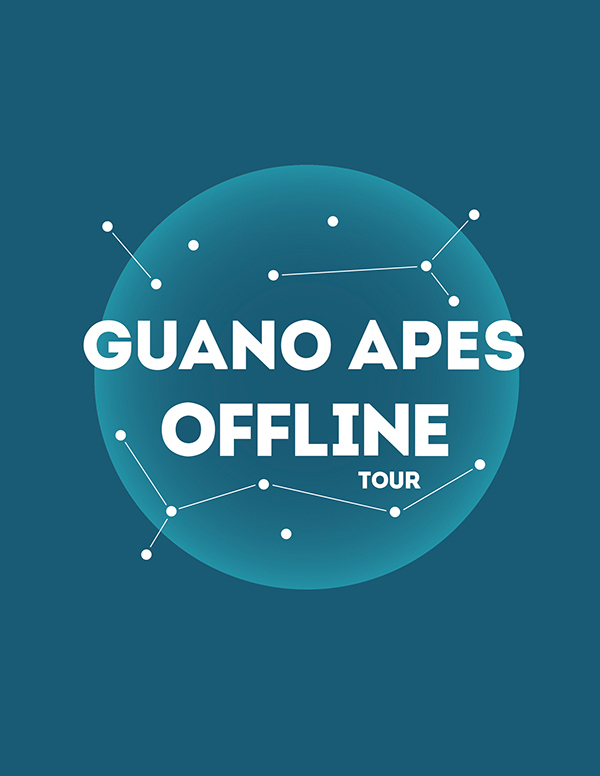 Multiple white dots around the logo suggest that the Offline Tour is held in 15 cities around the European continent and form constellations. 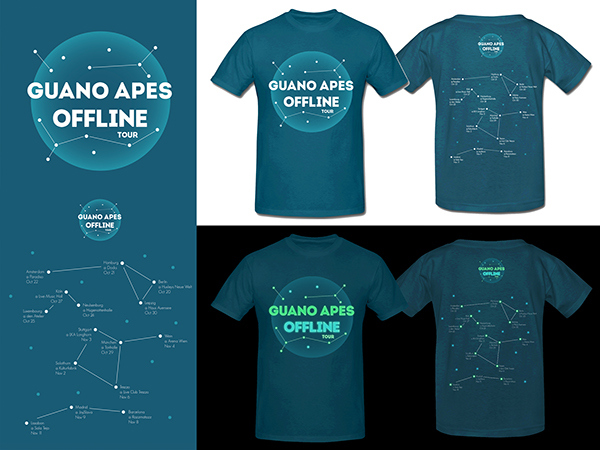 On the back side, instead of just listing dates and locations of the concert as any other typical event t-shirts, I took a challenge to make it beautiful & fun while necessary information is still kept. 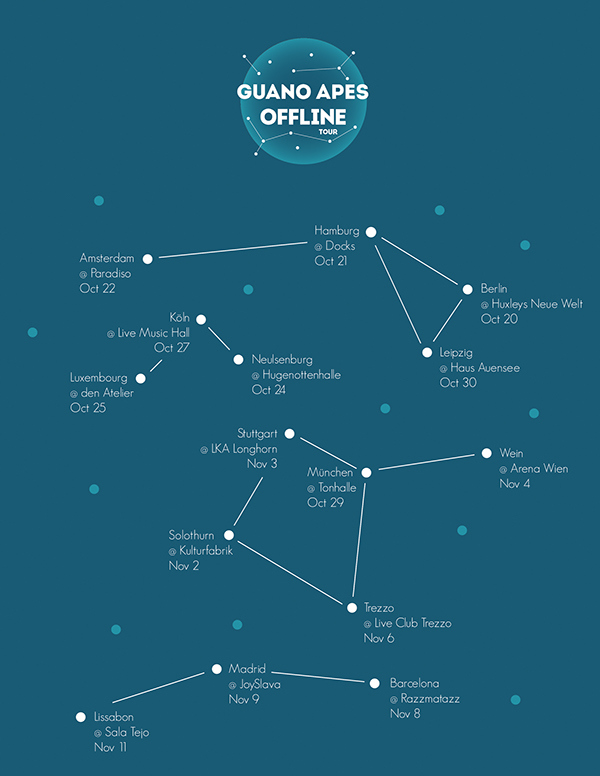 15 main dots that form constellations are carefully positioned according to the actual European map - from Germany to Austria to Switzerland, except the bottom three dots that belong to Italy. As I have been to many concerts myself, I've always wondered why not t-shirts can be glow-in-the-dark. Instead of holding onto neon sticks and going through so much hassle, audiences can be hands-free as they wear these shirts. Moreover, musicians can see how much audiences and fans support them in a dark concert hall during the show.